Our Link Detox Risk update is out now. Dive deeper into page and sub-folder analyses. Pitchbox outreach is now supported from three more tools – CLA, CDTOX and MLT. And some extra goodies of this release: social signals, auto-complete for tags and SEMrush country update. What is your use case for DTOX on sub-folders or pages? Which tool should get Pitchbox integration next? What feature do you dream of? Today, we are happy to announce more improvements to our product. Our Link Detox Risk (DTOXRISK) update will now provide you with a detailed calculation per page and on a sub-folder level. Also we are happy to support Pitchbox outreach from three more tools – CLA, CDTOX and MLT. Read on to learn how these innovations will help you today. 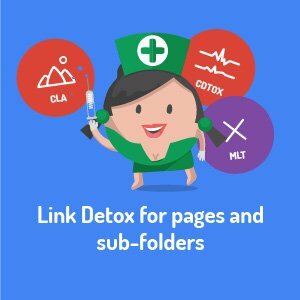 Webmasters of larger websites will be happy to hear that Link Detox Risk calculations are now available for sub-folders and single pages. Enjoy extra precise calculations of DTOXRISK and more detailed data. Combining the calculation with separate GWT directories, will give you the best possible results. Read more in our blog post on how to get more links from Google Webmaster Tools. E-commerce: if you run a typical e-commerce operation with sub-folders for different categories, e.g. babywear or toys. You can now analyze and assess individual categories for their own DTOXRISK. Product teams and external agencies can also take advantage of this feature for monitoring. For bigger brands the responsibilities are often split up. Travel: similar to e-commerce, travel sites are often partitioned by countries, regions and cities. You can now perform separate and individual Link Detox Risk analyses for specific high-margin regions. Blog vs. product: if you run a product news blog on your product site such as our /news/ directory and product descriptions in /seo-tools/, we recommend a separate risk assessment of the blog. This is advisable because links to the blog might come from other sources than for general product pages. High value landing pages: high value landing pages deserve special attention. Enough said. Homepage: many websites have most of their links point to their homepage. This makes a separate analysis worthwhile, especially when your content and deep links are just as big. Don’t forget to add every important directory as a separate GWT entity to get more links in Link Detox and many other tools. To make it as easy as possible for you to run a Detox Report, we added new quick links in all tools. Simply click on "Start DTOX for Domain" or "Start DTOX for Page”. Additionally, in SSPT, you will now also find the new quick links "Start DTOX for sub-folder" and "Start BLP for sub-folder". We launched our deep integration with the high-end outreach solution Pitchbox in June. Today, we are happy to provide a one-button outreach from three more tools: CLA, CDTOX and MLT. These are all tools that help you find the best links from your competitors that you should go after. Our update will now boost your link building workflow. Outreach for better links: use our Competitive Landscape Analyzer as a quick and easy way to see which links your competitors have. Adding such links could make your own link profile richer and align your website ranking with the requirements of the top 10. Outreach for link removal or link changes: see links that make your link profile look over-optimized (e.g. having too many money keyword links). You can also detect bad links from poor sites (Power=0 and Trust=0 links) that you should get rid of. Strong and healthy links of your competitors: analyze your competitor’s link profile risk with CDTOX. You can find strong and healthy links that your competitors have, but you don’t. 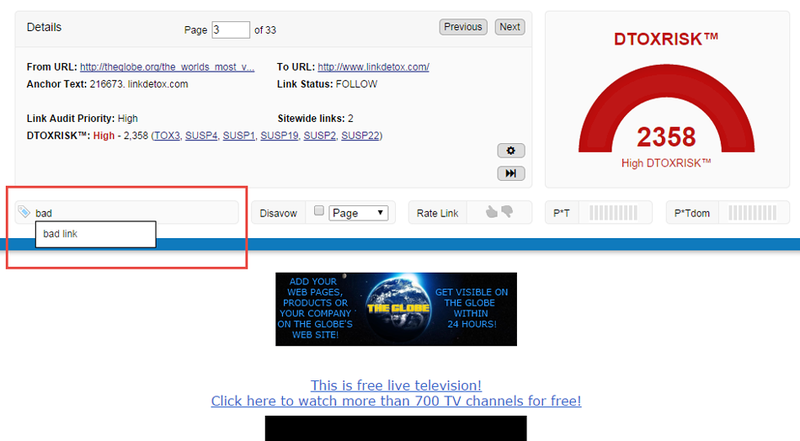 Now all it takes is a push of a button to inject those links as opportunities into Pitchbox and reach out. Find links that your competitors have, but you don’t: by running a missing link analysis with MLT, you can now create new Pitchbox opportunities at the push of a button just like in our other tools. Reach out to those high value sites that you don’t have a link on yet. 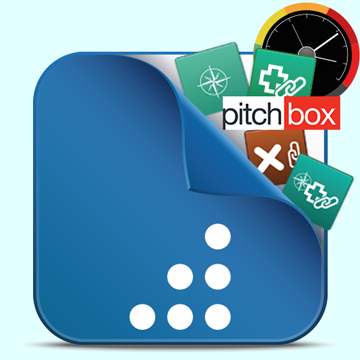 With this release the Pitchbox integration is available in a total of five tools now, DTOX, BLP, CDTOX, CLA and MLT. We see that social signals are becoming more important. A lot of users asked for it so we added it for you! You can now analyze these metrics for a domain or domain’s homepage. If you want to get the social stats on URL level, simply run any of our other tools like BLP or CLA. These tools have been supporting the metrics since 2010. Our “KwDomain” metric allows you to find out the number of keywords for a domain. 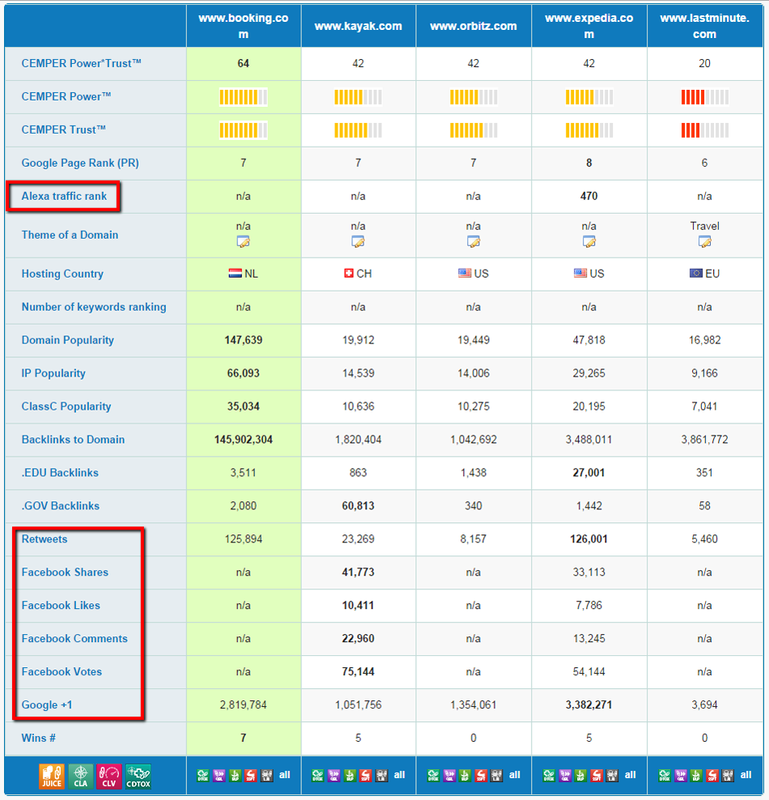 While this metric has been available for several years, we now include all the countries that SEMrush supports. To use this feature, you can define the individual countries in your project settings. 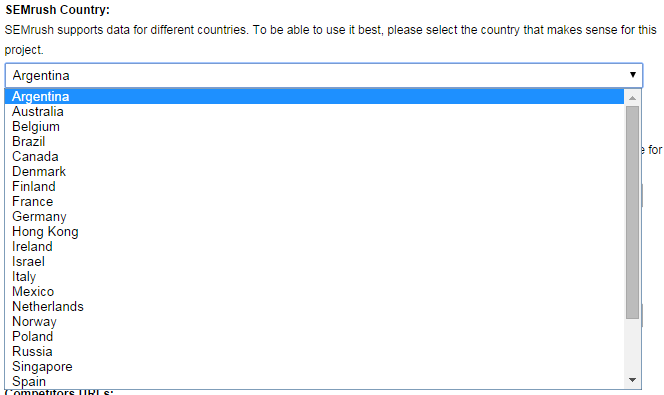 You can configure the proper country in your project settings as usual. A small time-saving improvement: we now export the DTOXRISK value and its description in separate columns to make filtering in Excel (CSV & XLSX) easier. No more “Convert text to tabs”-function needed. If you don’t know what that is, no worries, Excel exports got more usable just now.